This ultra-mild face wash will gently, yet effectively cleanse your skin while improving the tone, quality and health of your skin. Our Herbal Face Wash is extremely mild and gentle, yet is a super effective cleanser that will remove all pollution, oil, grit and grime, as well as make-up (if used) from your skin without causing it to dry out or stripping the skin of its natural acid mantle protection. There are few face washes that actually contain the amount of active ingredients that you will find in our Herbal Face Wash. Although a face wash or cleanser is meant to rid the skin of all unwanted dirt, grime, pollution, make-up etc – it can at the same time do so much more to combat the ravages of every-day living, and at the same time promote a softer, wrinkle-free and younger-looking skin. The unique formulation of our Herbal Face Wash will help to calm and soothe the skin. If any skin complaints or problems are present, it will also help sort them out, and also prevent any skin problems from starting. A facial toner is not required, as the pH of the skin is not compromised with the facial wash, and no grimy residue is left – so there is no reason for using a toner – which again is a money-saving feature. Our Herbal Face Wash has an unique and extraordinary formula, in which a blend of various pure herbs and natural ingredients are combined to create this remarkable product. They help to minimize photo-damaged skin, which is a major contributing factor to ageing and can be a great boon to promoting younger looking skin, minimizing the effect of ageing. They rid the skin of unnecessary dead cells, and also have a moisturizing effect on the skin, by increasing the moisture content of the upper skin and so smoothing out fine lines and wrinkles, as well as reducing dryness and combating flakiness. Long-term use of low concentration AHA’s can also increase collagen and elastin synthesis, and also boost protein regeneration in the skin. This natural extract not only has anti-microbial properties but is also a great anti-irritant and anti-inflammatory ingredient that helps to improve skin thickness, the skin barrier functions, collagen production as well as cell renewal. we use natural salicylic acid, obtained from willow bark, which does NOT have this side effect. Salicylic acid, as apposed to alpha hydroxy acid, has the power to penetrate and clean out the inside of the pores, effectively reducing blemishes, blackheads and whiteheads, while at the same time removing dead cells. BHA (Beta Hydroxy Acid) – which is what Salicylic Acid is classed as – vary from Alpha Hydroxy Acids as it penetrates into the pores to work its magic – while AHA cannot. So where AHA can help cleanse the rest of the skin, the salicylic acid – being a Beta Hydroxy Acid – can help to clean within the pores. It is an excellent moisturizer and in a dual action – firstly by forming a non-greasy lipid layer, which is partially occlusive (thereby preventing water-loss through the skin) and secondly by the diffusion of jojoba into the intercellular spaces of the stratum corneum to soften this tissue. This extract has a direct influence on improving the health of veins and capillaries in the skin, which in turn leads to proper circulation and maximum skin functioning. It has a strengthening effect on the venous system, and prevents capillary fragility – which could result in “leaking” and so cause edema (water retention) within the skin, which in turn leads to an uneven looking skin. Apart from this, it inhibits collagenase and elastase in the skin – and therefore leads to healthier collagen and supportive skin structure, that in turn results in a healthier younger looking skin, while at the same time fighting inflammatory conditions, which if left unchecked, could lead to premature aging. It also contains ursolic acid, which is not only antibacterial, but is also active against lipid oxidation and inhibits elastase – which results in tissue degeneration, inflammatory processes as well as tissue degradation, such as psoriasis and eczemas. This exotic ingredient has excellent water binding properties, which helps to prevent dehydration of the skin. On top of this, it also has good antioxidant qualities. Apart from the moisturizing, soothing and softening effect that it has, it contains polyunsaturated fatty acids (vitamin F) also known as essential fatty acids (EFA), and when they are absorbed through the skin, they convert to prostaglandins (PGE), which are involved in cellular membrane and tissue regeneration. Because of this, rosehip oil brings about skin regeneration, enhancing wound healing. It furthermore contains trans-retinoic acid, which is responsible for skin rejuvenation, quicker healing time and repairs skin subjected to excessive sunlight and the resultant photo aging. The linoleic and linolenic acids in rosehip help reduce pigmentation of the skin and when used regularly, rosehip has been shown to reduce fine lines and wrinkles. Dampen face and neck. Place a small amount of Herbal Face Wash on tips of fingers and massage into entire face (including the eye and neck area) using small circular movements. Rinse off with tepid water, and repeat if removing make-up. Finish off by applying Ageless Herbal Day or Night Cream. 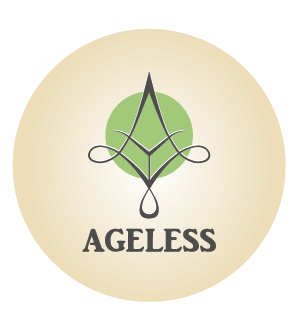 Ageless Herbal Eye Gel can also be applied around the eye area. Natural herbs and botanical extracts help clean your skin and promote skin health. Contains no strong chemicals and other ingredients that can burn or harm the skin. Removes all dirt, grime, pollution, make-up and excess oil from the skin. Has a soothing and calming action on the skin. Promotes a younger and fresher looking complexion. Helps to improve the color, texture and firmness of the skin.